Wisconsin is the land of beer and cheese…and entrepreneurial opportunities? There’s a long list of legendary Wisconsin companies that started with nothing but an idea and a drive—Allis-Chalmers, Shopko, Miller, Menards, OshKosh B’Gosh, Culver’s, Cousins Subs, Kohl’s, Sargento, Kohler, SC Johnson, Snap-on, Jack Link’s, Trek, Trane—the list goes on and on. Most of them started off very small and now have become giant, multi-generational, family businesses. Carmex, one of the world’s best-selling lip balms, started in 1937 when Alfred Woelbing created a homemade lip balm and sold it from his car. Johnsonville, America’s top selling sausage, started in 1945 when the Stayer’s opened a small butcher shop and used their old family recipe. Jockey, a $450 million company, started in the 1860s when Samuel Cooper began a hosiery business to help lumberjacks who had poorly constructed socks. In 1867, two guys began brewing beer in Chippewa Falls. Five generations later, Leinenkugel’s is bigger than ever. Of all the historic Wisconsin companies, you’d be hard pressed to find one that has had more of an impact than Harley-Davidson. 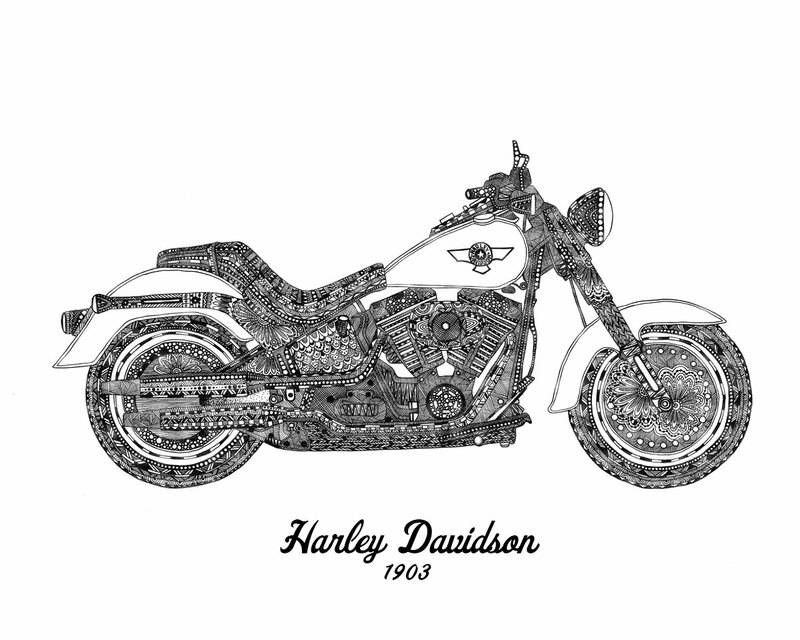 William Harley, Arthur Davidson, William Davidson and Walter Davidson started working on a “motor-bicycle” in Milwaukee during the early 1900s. Their first factory was built in 1906 on Chestnut St (now Juneau Ave), and remains the location of Harley-Davidson’s headquarters. Little did Harley and the Davidson brothers know, that 110 years later, Harley-Davidson would be the gold standard for motorcycles.